After years in the works, a low-income senior housing development at 24th and Harrison is now one step closer to reality. A demolition permit to remove the existing two-story structure was approved on Dec. 31. The permit for construction, which was filed in June, is still pending. A timeline for demolition and construction is not yet clear: Before demolition can move forward, the developer must pick up and pay for the issued permit. Representatives from co-developer Mercy Housing did not respond to inquiries this week, but Bill Strawn, a spokesman for the Department of Building Inspection, noted that it’s common for a bit of time to pass between approval and demolition, due to factors such as weather conditions, financing, and the finalization of architectural plans needed to obtain construction permits. Chief Building Inspector Patrick O’Riordan added that once the demolition permit is issued, the developer must wait at least 15 days to begin work to allow for potential appeal of the permit. The construction permit is currently under review by the fire department, which is the fifth step of a 10-step process toward full approval. The permit is designated for priority processing, which puts it at the front of the review queue. Strawn said this is commonly done to facilitate affordable housing projects. The Casa de la Misión project, at 3001 24th St., was first envisioned in 2009, and planning got under way in 2016. 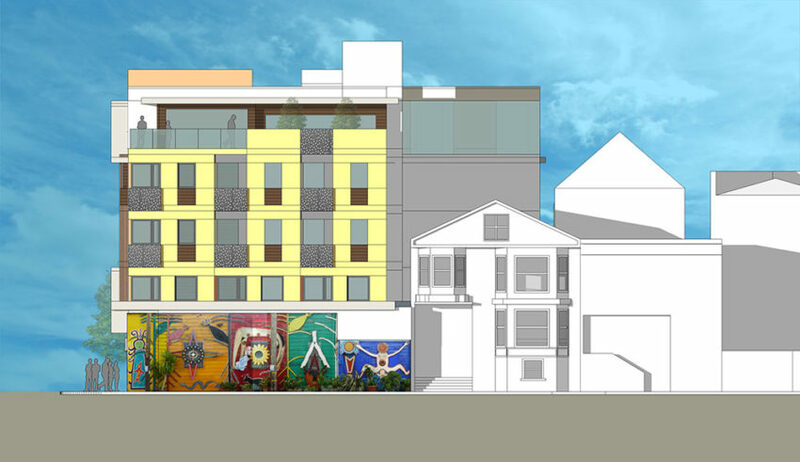 The project, which would create 45 units plus 1,750 square feet of first-floor retail surrounding a rear courtyard, is being co-led by Mercy Housing (one of the nation’s largest affordable housing nonprofits) and Mission Neighborhood Centers, which owns the property. The existing building has most recently housed Mission Girls and a Head Start center: Both are youth-development projects run by Mission Neighborhood Centers. A sign posted on the Head Start center door indicates that the preschool has moved to Mission Neighborhood Center’s Family Resource Center on Alabama Street. 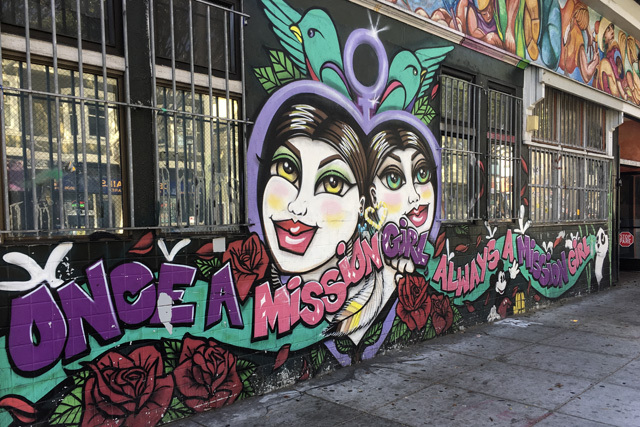 Mission Neighborhood Center bought the 24th Street property in 1994, responding to neighborhood outcry against a Taco Bell proposed for the site by previous owner PepsiCo. Mission Girls and the site of the planned development. Photo by Lola M. Chavez. Plans submitted to the city for the proposed development show a five-story, L-shaped building of affordable senior apartments. It will also include office and community space, a laundry room, and outdoor recreation space as well as bike parking. At five stories, it will be among the tallest structures on 24th Street. Previous plans included one additional story plus seven more apartments. At community meetings in 2017, neighbors showed preference for the shorter structure. The apartments will be small: The studios measure around 330 square feet, and include features for senior accessibility, such as roll-in showers for wheelchairs. Outside, the architectural firm behind the project, HKIT Architecture, gave special consideration to protect some of the murals on the existing structure. The murals on Balmy Alley will be preserved and reinstalled on the new building, and local artists will be commissioned to add new art elsewhere on the structure. The firm’s plans indicate a 2020 completion date. The removal of the existing structure will be only the second demolition on 24th Street since 2005, following a single-story building razed across the street on Jan. 3 to make way for a three-floor, multi-use building designed by the architects who live and work there.